Who’s lifted you up recently? Who in your life are you grateful for? Think of someone valuable in your life- thank them, shower them with praise and recognition. Writing an honest note about their significance in your life really can brighten someone's day. Take time to recognize those in your community that have helped you along your path. Honoring those who support you can strengthen and deepen your sense of community. The holiday season is also the perfect time to give back to your community. Whether you're dropping off some freshly baked cookies for teachers, leaving a gift card for the postman, or donating your time or money to those in need, it’s a great time to give back to the community that provides so much to you. The holidays are also a great time for you to appreciate your body and all that you’re capable of doing. Instead of worrying about how much hot chocolate, wine, or seasonal treats you're about to face, take a step back to be grateful for what your body does for you every day. From providing you the strength to put up and decorate the tree, to ice skating with your friends or simply giving you the burst of energy you need for your busy holiday party schedule, honor your body and you’ll begin to cultivate a new found confidence for yourself. Taking a bit of time for yourself this season (with a massage or yoga class or a weekly run) can help you to feel more relaxed, centered, and self-aware in the midst of holiday-related chaos. As the New Year looms, you may be reminded of the New Year's Resolutions you set last January. No big deal if you didn't meet your 2018 goals. What about acknowledging the small accomplishments you did achieve in 2018? Maybe you didn't lose those 15 pounds, but you did find time to incorporate more movement into your daily life. Maybe you didn't eat as healthy everyday as you wanted, but you learned some great new recipes and stopped drinking as much soda. Maybe you didn't meditate for 15 minutes every day, but you've incorporated your own homemade morning ritual into your routine. Don't let unmet resolutions bring you down. Think about the small steps you did achieve that have positively impacted your life this past year. Apply the same the mindset of celebrating the small things in life to your 2019 planning. It is perfectly fine for you to start small instead of trying to make huge changes that can overwhelm you. Think about the small, individual steps that you can take to help you along the journey to reach your ultimate goal. When you accomplish each individual step, acknowledge your progress and celebrate. For example, if your goal is to deep clean your entire house, don’t tackle it all at once! Celebrate clearing out a closet, or organizing your pantry. Celebrating small wins can help you stick to your overall goal. At Vita Wellness, we believe that the holiday season is an ideal time to celebrate and to be grateful for the everyday joys of life. 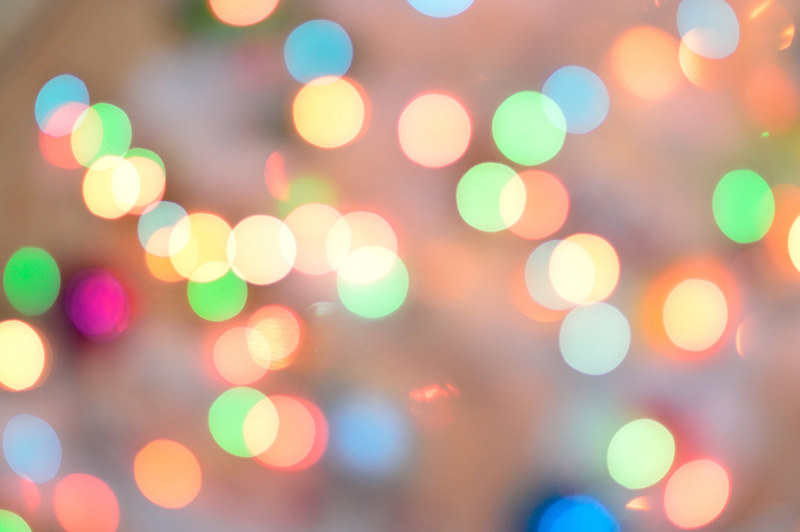 Embracing mindfulness during the season can help you to enter the holidays and the New Year with a recognition that you can live life better with a mindset that less is more. Looking for the perfect gift for a loved one (or yourself) this holiday season? Purchase a Vita Wellness massage gift card, and spend some time celebrating yourself!